A good pruning job will enhance the look of your plants, but a poorly executed one can ruin the entire look of your landscaping. Thankfully, we have compiled the most common pruning mistakes and what you can do to avoid them. Mistake #1: Snipping the tips of plants. This is one of the worst mistakes you can make when pruning. The whole purpose of pruning is to stimulate plant growth. When you snip the tips, up to six new branches can occur. Instead, make a few larger cuts instead of the many smaller cuts. Mistake #2: Cutting back the longest branches of conifers. All this does is leave a stub sticking out and makes it difficult for the conifer to recover. 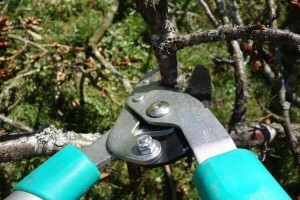 Instead, prune early and cut back to the closest lateral branch. Cut any branch stubs sticking out at the trunk. Mistake #3: Shearing weeping cherry trees into a bowl cut. The more you prune the plant into an unnatural shape, the denser it becomes. And, if you continue this practice, the plant will eventually die. If you are not happy with the natural shape of the plant, the best thing to do is to remove the plant altogether. Mistake #4: Chopping off the top of a tall tree. This practice, also known as tree topping, does nothing but cause the plant to create an abundance of new branches and limbs, which compromises its structural integrity. Instead, select one vigorous limb and reestablish it, while pruning out competing limbs. Mistake #5: Not pruning your plants. While improper pruning does harm plants, not pruning at all will also cause problems. Instead, do your research and learn how to properly prune the specific species of landscaping plants and you will be fine. Avoiding the common pruning mistakes should be including in your regular landscaping tasks and will help keep your plants healthy. Contact Hutcheson Horticultural Company for your pruning and landscaping assistance today.